Recently, officials met at the 30th Anniversary Lifesavers Conference on Highway Safety Priorities to discuss the most effective ways to help to cut down on the number of drunk driving car accidents in Quincy and elsewhere. During the keynote address, safety advocates with Mothers Against Drunk Driving (MADD) called for a summit of traffic safety leaders to renew the focus on traffic safety solutions that have been proven to help to reduce the risks of these kinds of accidents. “We need to commit ourselves to working together to support the strongest laws on all issues,” Jan Withers, president of MADD. We’re not one of the states that require these devices for first-time offenders, which has been proven to help to significantly cut down the number of repeat offenders. 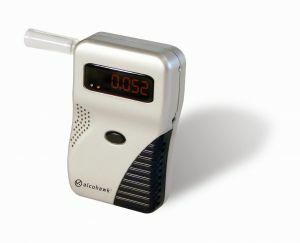 In addition to campaigning for the ignition interlock devices, officials with MADD have also been advocating the support of technology such as the Driver Alcohol Detection Systems for Safety (DADSS), which would help to prevent intoxicated individuals from getting behind the wheel. Officials believe that this technology could potentially prevent thousands of fatal accidents every year. Experts believe that more than 10,000 people will die this year because of drunk driving accidents in the U.S. As a matter of fact, drunk drivers kill someone every 50 minutes. Most drivers say that they understand the dangers that are associated with drinking and driving. The problem is that most drivers think they’re invincible, too. It’s important to educate the driving public about how serious of a problem this is and how high their risks are for an accident after consuming alcohol. This is no joke! It’s so bad that statistics show that about a third of residents will be involved in an alcohol-related accident in their lifetime. During the summer travel season, drivers are warned. We typically see a rise in alcohol-related car accidents during this time of the year. Drivers need to remember that there are options. You have safe ways to get home after you’ve been drinking and one of those options should never be driving drunk. You can call a cab, you can take public transportation, you can call a friend or a family member or you can even stay at a friend’s home. We’re not only asking you to stay out of the driver’s seat if you’ve been drinking, but we’re also asking you to be safe on our roadways to avoid an accident with those who haven’t made such responsible decisions. The Law Offices of Jeffrey S. Glassman, LLC is here to offer assistance to victims and to the family of victims of car accidents in Boston, Braintree and elsewhere throughout the state. Call 1-888-367-2900 to discuss your case.